I’ve been eating a lot lately, because I’ve been hungry. 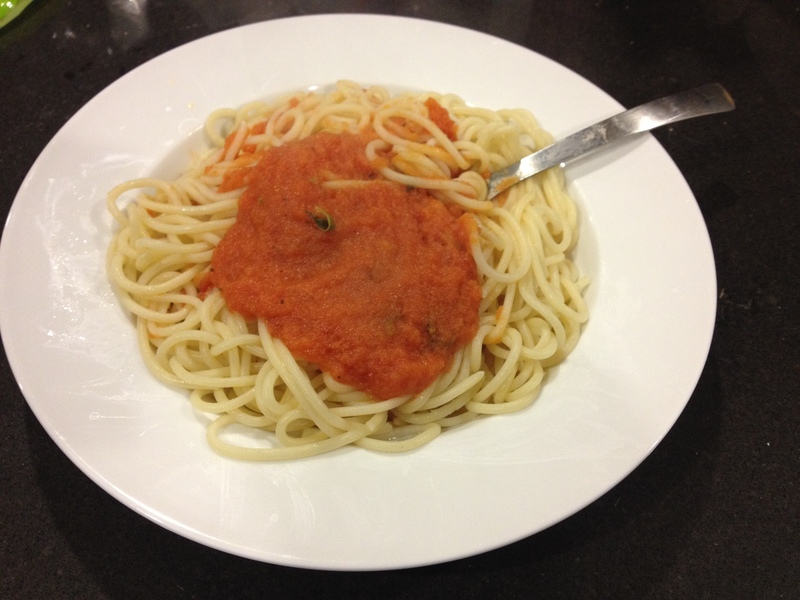 There was probably 500 calories in this 200g plate of spaghetti. I probably ate another 1000 calories after dinner, but nothing junky. Next Post → Fixed My Fatty Liver!